It is necessary to understand a bit about Québec history in order to understand the political climate which dominates the culture and thinking of the Québecois. However, Québec's history remains long and complicated. Essentially, Québec was originally settled by French explorer Jacques Cartier. He is credited with being the first to arrive and he attempted to establish a French colony in Québec City. However it was Samuel de Champlain, who was exploring the St. Lawrence river, who originally established a permanent fur trading post. New France was established as an official province under King Louis XIV. King Louis' colonization of "New France" truly is at the root of the strong French culture predominantly found in Québec today. Under King Louis XIV, the population of the little colony grew. France had a policy of only allowing Roman Catholics to settle in New France. These Roman Catholic roots are important as the influence of the Roman Catholic church can be seen even today in Québec. Eventually, France ceded "New France" to England, but remnants of the French culture remain strong. Because Québec is unique from Canada in that French is the sole official language of the Province, and because it's culture reflects so strongly its French roots, there is considerable debate among Canadians regarding the status of Québec. Separating from Canada strongly dominates politics and thinking. Everyone who is Québecois has a strong opinion on whether or not Québec should separate from the rest of Canada. 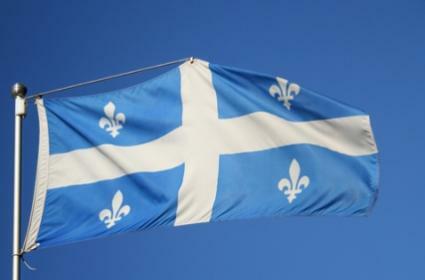 In 2003, the National Assembly of Québec voted that "the Quebecers form a nation." Most recently, in 2006, the House of Commons officially recognized that, "the Québécois form a nation within a united Canada." Since the wording is vague, so is the status of Québec as a separate nation within Canada. Fête de la Reine (Victoria Day) to commemorate Queen Victoria's birthday. Fête Nationale du Québec (St. Jean Baptiste Day) is a carryover from the first French colonists who celebrated this religious feast day. (It is now secularized but still referred to as La St. Jean. Other holidays include Thanksgiving, (which in Canada is celebrated the second Monday in October), New Year's, and of course Christmas and Easter. Mardi Gras is to New Orleans as Carnaval is to Québec. In fact, the winter carnaval began as a period before Lent where the people could indulge in revelry of every kind before committing to fasting and praying. Over the years it has been reinvented such that now this two week long celebration generally has sports, ice sculpting and snow sculpting, competitions and various other aspects that reflect life in Québec. There is also the world famous Ice Palace, Bonhomme (a symbol of goodwill towards all), not to mention an International Snow Sculpting Event. Suffice it to say that Carnaval is huge, and you really cannot say you've truly experienced all of Québec culture without attending at least one Carnaval in your lifetime. Québec City--International culture, and old word France come together for a unique experience. Montréal--The largest city in Québec has many sites that you don't want to miss. Place Royale--This place is a treasure trove of quaint little coffee shops steeping with history. St. Anne de Beaupré Basilica--Just another example of how deeply the culture of French Canada is influenced by its Roman Catholic routes. Caribou: An alcoholic beverage served traditionally during Carnivale. Pâté chinois--Similar to what we'd think of as shepherd's pie but with meat, corn and potatoes. Sucre à la crème--Sort of like fudge except with brown or maple sugar. Tire sur la neige--This is boiled maple syrup that is dribbled on snow. When it hardens, it's eaten as a dessert. The best way to succinctly describe the culture of French Canada is to say that it is a mixture of the locale and the best of French tradition. Québec remains the epicenter of French culture in Canada and while the rest of the country is bi-lingual, it is one of the sole hold outs for the French language and the French Canadian way of life.